Trust in an organization influences the decision making of customers, partners and investors. Building brand trust takes time and effort, but it can unfortunately be lost in an instant. Data breaches are not only financially costly, they can be devastating to the trust an organization has built up in the market, and can lead to long term losses. 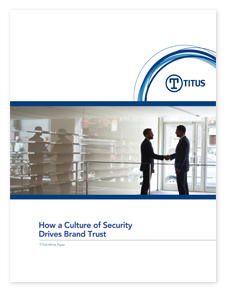 Download this whitepaper today to learn about the link between brand reputation, access to data, and digital transformation, and how creating a culture of security can drive trust in your brand.